Many thousands of successful people have been asked what they think about most of the time. The most common answer given by successful people is that they think about what they want - and how to get it - most of the time. 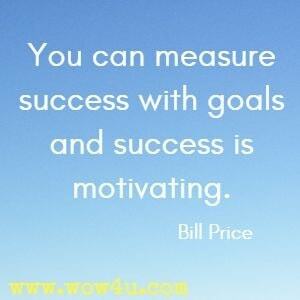 Brian Tracy, Goals! "Your personal reputation and the success of your organization depend on your ability to make and fulfill promises." Tom Hanson, Ph.D.; Birgit Zacher Hanson, M.S., M.C.C., Who Will Do What by When? 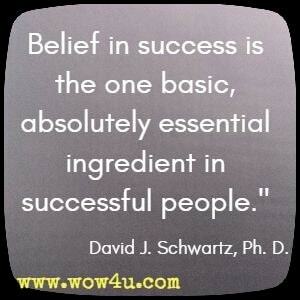 "Belief in success is the one basic, absolutely essential ingredient in successful people." David J. Schwartz, Ph. D.
By allowing your team members to suggest ways on how they can contribute to the team's success proactively, you are encouraging a culture of independence among your members. 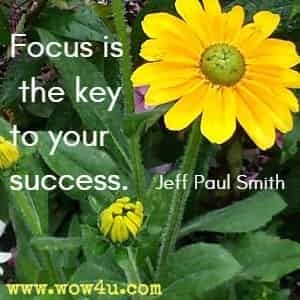 Gavin McGinnis, Coaching: 10 Coaching Skills to Help Your Team Focus, Take Action, Stay Motivated and Accomplish Goals! Would you like me to give you a formula for success? It's quite simple, really. Double your rate of failure. You're thinking of failure as the enemy of success. But it isn't at all. 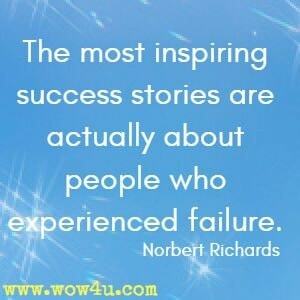 You can be discouraged by failure-or you can learn from it. So go ahead and make mistakes. Make all you can. Because, remember that's where you'll find success. On the far side. 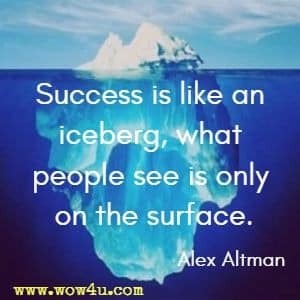 Thomas John Watson, Sr.
All literature on self-improvement and professional development is based on research, studying what successful people did and identifying key factors common in all of their success. Laszlo Kovari, Critical Thinking? "Determination - It is the size of one's will which determines success."